By using this software application (“App”) you signify your assent to these Terms and Conditions (“Terms”). If you do not agree to all of these Terms, do not use this App. If these Terms are being accessed through the websites located at www.chemowave.com or www.tti.care, then references in these Terms to the “App” shall include these websites and all content and services contained therein. To access the application as an eligible user, the Company requires that you are a: (a) diagnosed cancer patient or a parent or legal guardian acting for such a patient who is either incapacitated or under 18 years of age, (b) caregiver for a diagnosed cancer patient, (c) health care professional (e.g. doctor, nurse, health researcher, etc. ), or (d) guest authorized by the Company. Children under the age of 13 are prohibited from registering an account. By registering an account for a cancer patient that is under the age of 18 you represent that you are the legal guardian and caregiver for that child. All content contained in the App, including, but not limited to, all text, graphics, images, outcomes, patient profiles, information from any third parties, and any other material or data contained in the App (collectively, “Content”), are for informational purposes only. Nether the Content nor any services you may access through using the App (“Services”) are intended to be a substitute for professional medical advice, diagnosis, or treatment. Always seek the advice of your physician or other qualified health provider with any questions you may have regarding your health or treatment. Never disregard professional medical advice or delay in seeking it because of something you have read on the App. If you think you may have a medical emergency, call your doctor or 911 immediately. TTI does not recommend or endorse any specific tests, physicians, products, procedures, opinions, or other information that may be contained in the App. Reliance on any information provided by TTI, TTI employees, others appearing on the App at the invitation of TTI, or other visitors to the App is solely at your own risk. You should not or upload any information to the App that is or could be construed as being: (a) false, inaccurate or misleading; (b) vulgar, obscene or indecent; (c) infringing upon any copyright, patent, trademark, trade secret or other proprietary rights or rights of publicity or privacy of any party; or (d) defamatory, libelous, threatening, abusive, hateful, or pornographic. You may not use the App to conduct any activity that is illegal or violates the rights of others, provide instructional information about illegal activities, or promote physical harm or injury against any group or individual. You represent and warrant that the information you provide when registering as a member, and all information that you subsequently provide regarding your health, activities and treatment experiences, are is and accurate and not misleading. All material posted on the App are protected by the copyright laws in the United States and in foreign countries. TTI authorizes you to view or download a single copy of the material on the App solely for your personal, noncommercial use if you include the copyright notice located at the end of the material, for example: “© 2018 Treatment Technologies & Insights, LLC. All rights reserved” and other copyright and proprietary rights notices that are contained in the Content. Any special rules for the use of certain software and other items accessible on the App may be included elsewhere within the App and are incorporated into these Terms by reference. Title to the materials remains with TTI or its licensors. Any use of the materials not expressly permitted by these Terms is a breach of these Terms and may violate copyright, trademark, and other laws. Content and features are subject to change or termination without notice in the editorial discretion of TTI. All rights not expressly granted herein are reserved to TTI and its licensors. If you violate any of these Terms, your permission to use the materials automatically terminates and you must immediately destroy any copies you have made of any portion of the materials. You may not use any robot, spider, scraper, or other automated means to access the App for any purposes. You may not post anything on the App that contains any viruses, Trojan horses, worms, time bombs, spiders, or other computer programming routines that are intended to damage, detrimentally interfere with, surreptitiously intercept or expropriate any system, data or personal information. You shall not attempt to make the App unavailable through denial-of-service attacks or similar means. You shall not use contact information provided by registered users, or collect information about our users, to facilitate the sending of unsolicited bulk communications such as SPAM or SPIM or allow others use of your account to take such actions. The App and all Content contained therein are for your personal use only and may not be used in connection with any commercial endeavors. Organizations, companies, and/or businesses may not become users without TTI’s express written consent. You may not solicit or promote any products or services within the Application. You may not publicly display, distribute, publish or otherwise disseminate the App or any Content contained therein without TTI’s prior written consent. If you are a copyright owner or an agent thereof and believe that any Content infringes upon your copyright, you may submit a written notification pursuant to the Digital Millennium Copyright Act (“DMCA”) by providing our Copyright Agent (listed below) with the following information: (i) an electronic or physical signature of a person authorized to act on behalf of the owner of an exclusive right that is allegedly infringed; (ii) a description of the copyrighted work claimed to have been infringed or if multiple copyrighted works are covered by a notification, a representative list of such works at our App; (iii) a description of the location on the App of the allegedly infringing material(s); (iv) your address, telephone number, and email address; (v) a written statement that you have a good faith belief that use of the material(s) in the manner complained of is not authorized by the copyright owner, its agent, or the law; and (vi) a written statement that the information in the notification is accurate, and under penalty of perjury, that you are authorized to act on behalf of the owner of an exclusive right that is allegedly infringed. If content you submitted has been removed as a result of a notification as described above and you believe that such content or portion of content was posted lawfully, please contact us about our counter-notification procedure through which you can dispute the allegation and request re-posting of the content at issue. 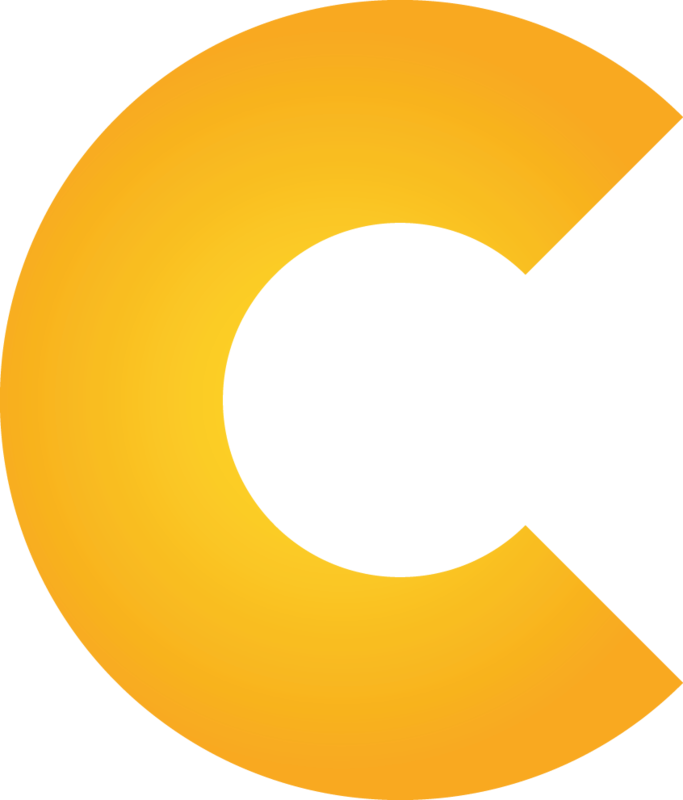 All notices of alleged copyright infringement and requests about the counter-notification procedures should be directed to TTI’s Copyright Agent at support@chemoWave.com. You acknowledge that if you fail to comply with all of the notice requirements of the DMCA, your notice may not be deemed valid. You are responsible for maintaining the security and confidentiality of your login details, and you are solely responsible for all activities that occur under your password or account with or without your knowledge. If you knowingly provide your login and password information to another person, you do so at your own risk that they might share personal information that you would consider private. You agree to immediately notify TTI of any unauthorized use of your membership password or login or any other breach of security. The App may contain links to other third party websites or applications that are not under the TTI’s ownership or control. The inclusion of any link does not imply endorsement by TTI of such application or website and TTI is not responsible for the content of such linked applications. Your access and use of these third party websites or applications are at your own risk. TTI may, with or without cause, immediately terminate your account or limit or terminate your access to your account or the App in its sole discretion at any time and without the necessity of notice, including for the following reasons: (a) your breach or violation of these Terms or other incorporated agreements or guidelines, (b) in order to comply with a judicial order, or request by law enforcement or other government agency, (c) upon your request (i.e., account cancellation), (d) unexpected technical issues or problems, and (e) extended periods of inactivity. TTI is not under any obligation to maintain, store, or transfer your information or data posted on or uploaded to the Application upon your account termination. TTI DISCLAIMS ANY AND ALL WARRANTIES (WHETHER EXPRESS, IMPLIED, STATUTORY, OR OTHERWISE) RELATING TO THE APP, AND ANY CONTENT AND SERVICES CONTAINED THEREIN, INCLUDING, BUT NOT LIMITED TO, ANY IMPLIED ASSURANCES OF FITNESS FOR A PARTICULAR USE OR PURPOSE (EVEN IF THE PARTICULAR USE OR PURPOSE IS DISCLOSED TO TTI IN ADVANCE), NON-INFRINGEMENT, AND ANY ASSURANCES THAT MAY ARISE FROM COURSE OF DEALING, COURSE OF PERFORMANCE, OR USAGE IN TRADE. YOUR USE OF THE APP, INCLUDING ANY CONTENT OR SERVICES CONTAINED THEREIN, IS ON AN “AS IS” AND “AS AVAILABLE” BASIS. TTI does not warrant that access to the App, OR ANY CONTENT OR SERVICES CONTAINED THEREIN, will be uninterrupted or error-free or that defects will be corrected. In no event will TTI be liable for any indirect, punitive, special, incidental or consequential damages in connection with or arising out of your use of the App, or any Content or Services contained therein (including, without limitation, loss of business, revenue, profits, goodwill, use, data, or other economic advantage), however they arise, whether in breach of contract, breach of warranty or in tort, including negligence, and even if TTI has previously been advised of the possibility of such damages, and whether or not such damages are foreseeable. TTI’s total liability to you hereunder shall not exceed $100.00. You will indemnify, defend, and hold harmless TTI (including, without limitation, TTI’s parent, subsidiaries, affiliates, and its and their officers, directors, personnel, professional advisors and agents) harmless for, from and against any and all losses, expenses, costs, liabilities, damages, claims, suits, and demands arising from or attributable to your acts or omissions, including, without limitation, any claims alleging infringement of any intellectual property or privacy right; and any breach of these Terms. If you register as a user of the App, you agree that TTI may send notices to you by email at the email address you provide. TTI’s marketing emails tell you how to “opt-out.” If you opt out, we may still send you non-marketing emails. Non-marketing emails include emails about your accounts and our business dealings with you. Notifications can be disabled through your mobile device operating system. Assignment. You may not assign any of your rights or delegate your obligations under these Terms, whether by operation of law or otherwise, without the prior written consent of TTI. We may assign these Terms in their entirety (including all terms and conditions incorporated herein by reference), without your consent, to a corporate affiliate or in connection with a merger, acquisition, corporate reorganization, or sale of all or substantially all of our assets. Survival. The sections titled “Acceptable and Lawful Use of the App,” “Use of Materials,” “No Interference with Operation of Application,” “Link to Other Applications or Websites,” “Disclaimer,” “Limitation of Liability”, and “General” will survive any termination or expiration of these Terms. Treatment Technologies & Insights, LLC and its related companies (collectively, “TTI”) may revise and update these Terms at any time. The “Last Updated” legend at the top of these Terms indicates when these Terms were last revised. We encourage you to review these Terms periodically for any updates or changes. Your continued usage of the App will mean you accept those changes. If you have any questions or comments, or to report violations of these Terms, please let us know by emailing us at: support@chemoWave.com.